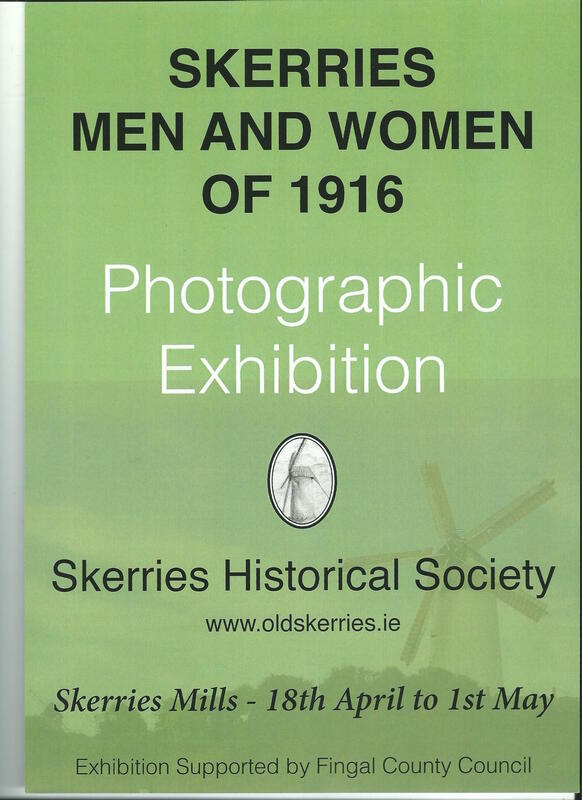 Skerries Historical Society presented a Photographic Exhibition in Skerries Mills from Monday 18th April 2016 to 1st May 2016, entitled ‘Skerries Men and Women of 1916’. 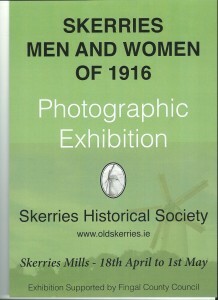 The exhibition now has a permanent home in Skerries Mills. It includes many historical photographs and portraits from the Society’s archives. The exhibition followed on from two talks, ‘Skerries Women of Cumann na mBan’ and ‘Easter Week 1916 & its aftermath: as it affected Skerries town and those in it’. Frank Whearity has carried out much primary research into the part that the men of Skerries played as Irish Volunteers during the Easter Rising and it’s aftermath. However, little had been known of the part the women and girls of these revolutionary Skerries families had played during this time as members of Cumann na mBan until Marie Bashford-Synnott presented her paper about them at the recent, well attended, March 8th meeting. Skerries Historical Society is very grateful for the considerable support from Fingal Co Council which has provided grants towards the cost of this project. ← 12th April – Easter Week 1916 & its aftermath: as it affected Skerries town and those in it.